Start Presidents' Day off right with a filling breakfast that will keep you going as you peruse the racks. From luscious scrambled eggs to protein-packed pancakes, here are seven breakfasts that will keep you satisfied for a long day of shopping. 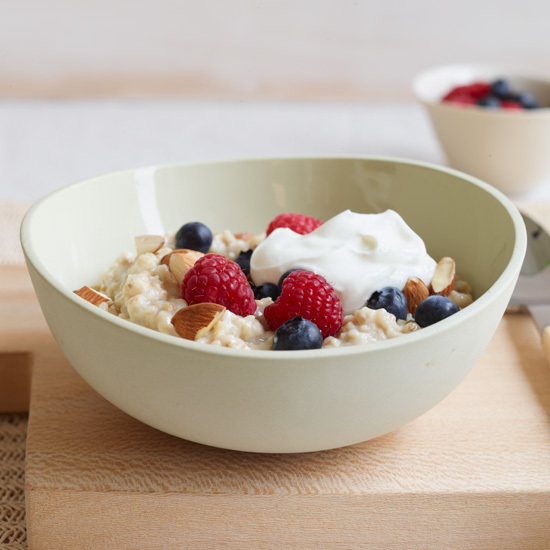 Steel-cut oatmeal, which has an appealing chewy texture, makes a hearty, quick breakfast. 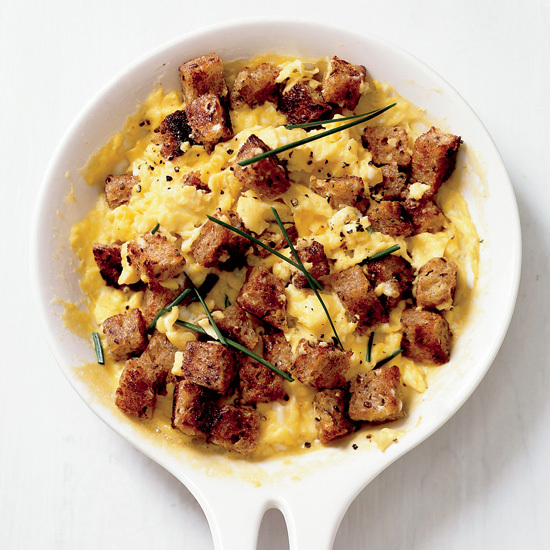 Herbed croutons stirred right into soft, creamy scrambled eggs eliminates the need for a side of toast. 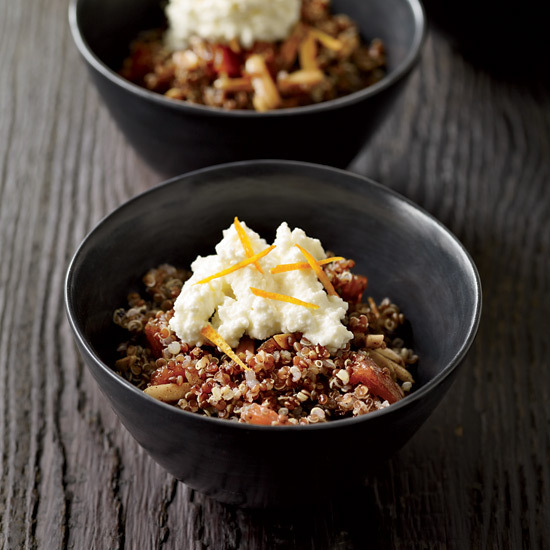 "This breakfast will make your day so productive," says Jill Donenfeld of her delicious maple-syrup sweetened quinoa. 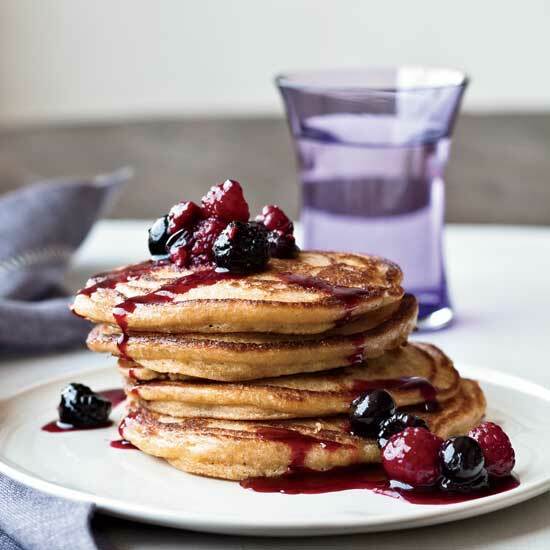 Using polenta (cornmeal) in addition to white flour makes gives these pancakes extra fiber and protein. 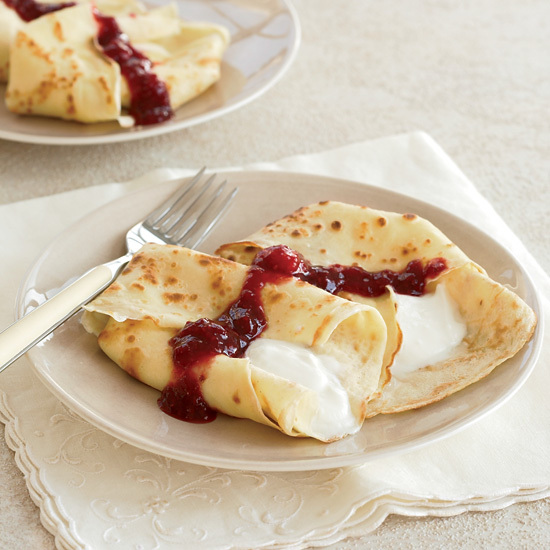 These crêpes are like free-form blintzes, with thick and creamy Greek-style yogurt standing in for the cheese filling and a quick topping made with preserves and frozen raspberries. 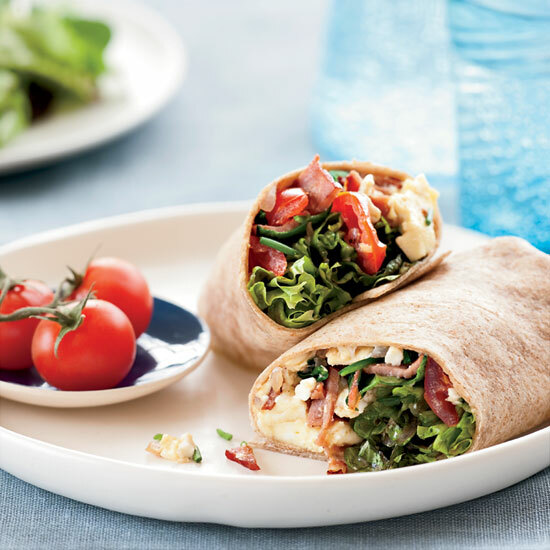 Chef Spike Mendelsohn's healthy breakfast burrito features scrambled eggs lightened with egg whites, feta, turkey bacon and spinach. 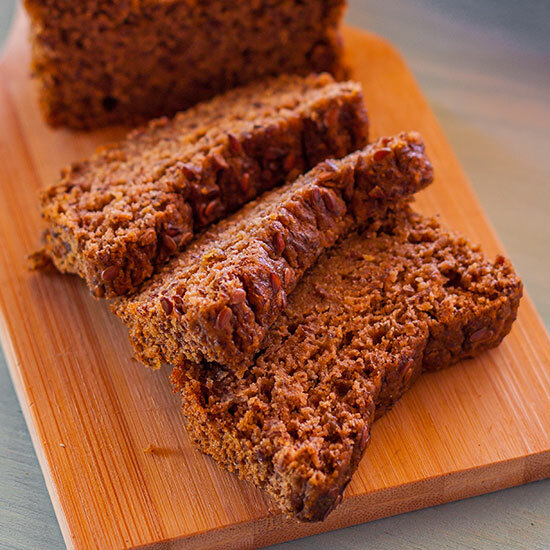 Flax seed meal and whole flax seeds give this quick bread added nutrients.